US FDA regulate Sunscreen as a Drug. Sunscreen manufacturers must comply with all drug requirements, including cGMP (Current Good Manufacturing Practice), Establishment registration, FDA Labeler code request, Drug listing and drug label compliance. Sunscreen manufacturers must renew drug establishment registration and drug listing every year between October 1 and December 31. Private label distributors of sunscreen product must have their own NDC number and drug listing. Sunscreen products are in FDA final monograph list, so these products do not need an FDA approval , but should comply with OTC Monograph. Below is the list of active ingredient in OTC Final monograph. These are not complete list of ingredients in FDA OTC drug monograph. The status of ingredient in OTC monograph may change please contact FDA for updated information. LMG assist foreign and domestic sunscreen manufacturers to register with FDA , we also provide drug listing service and US FDA Agent service to foreign sunscreen establishments. Please complete our online form to register your establishment with FDA. 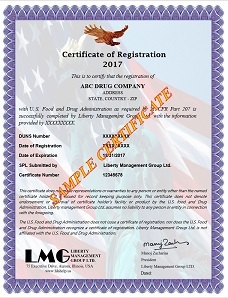 LMG issue free FDA registration certificate after successfully completing your establishment registration with FDA. 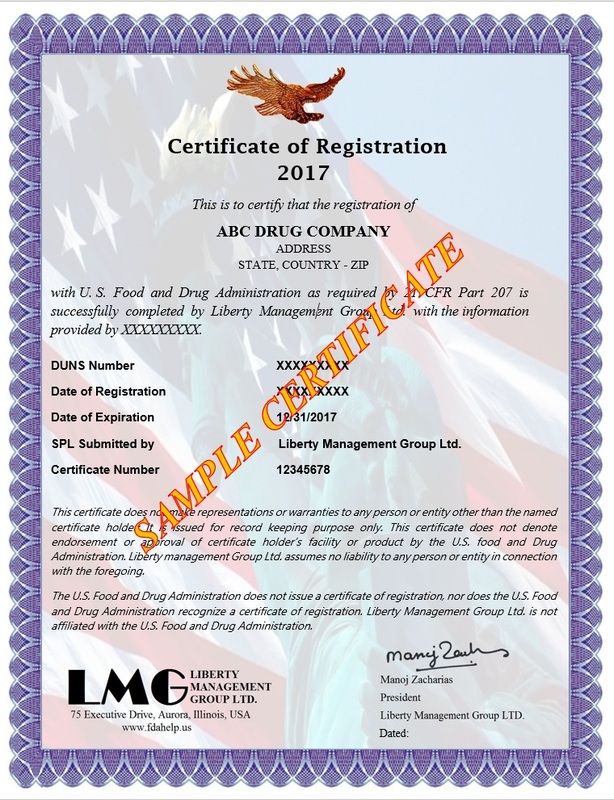 You can use this as a proof of FDA registration to the industry, also you can verify certificate validity on our website.